Patients at Warrington and Halton Hospitals are able to tune in to a selection of radio programmes via the hospital radio during their stay with us. 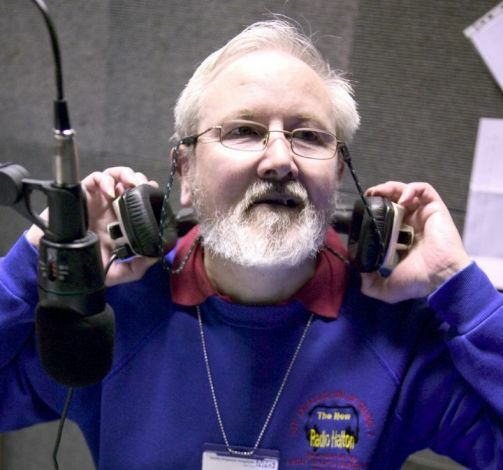 Each hospital also has its own radio station offering a mixture of programmes brought to you by a committed band of volunteers. At Warrington Hospital patients on the wards are able to listen to the hospital radio station brought to them by Hospedia. All you need to do is, on arrival at the ward, simply pick up the 'phone, press the operator button and register for free. Then, it's easy, just tune into radio channel 1. Radio General is on the air 24 hours a day with music to cater for all tastes. Programmes include your music requests, live commentaries of the Warrington Wolves and the Widnes Vikings rugby league matches as well as programmes of local interest. Concerts are also broadcast live from the Parr Hall and events from around the town are relayed over the air. On Sundays, the Church of England service is broadcast live from the hospital chapel. Patients can request their favourite piece of music by using the Hospedia phone and dialling *800 - the call is free. Family and friends are welcome to call the hospital radio if they wish to dedicate a request for a patient by simply telephoning 01925 662122. At Halton General Hospital, patients will find a radio earphone set at their bedside and by selecting channel 3 can listen to a wide variety of music from the last 50 years, including country and classical. Local community and hospital information is also featured on the half hour. Programmes are also piped through to waiting areas for the benefit of patients who are awaiting their appointment and also to the tea bar at entrance 1.